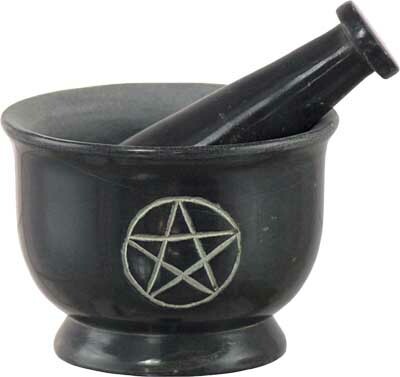 Soapstone Mortar & Pestle w/ Pentacle Design. This soapstone mortar and pestle set is perfect for keeping your herbs contained while you`re grinding them. Its sturdy stone base lessens the chance of an accidental spill.